IRIS is a multi-user, multi-screen imaging and information management system that delivers premium patient care and customer service features. Use it anywhere in your practice, including branch surgeries and mobile units. Manipulate all DICOM modalities with IRIS robust imaging software, for superior patient care. For outstanding customer care, images can be viewed on iPads and iPhones - ideal for the waiting room! 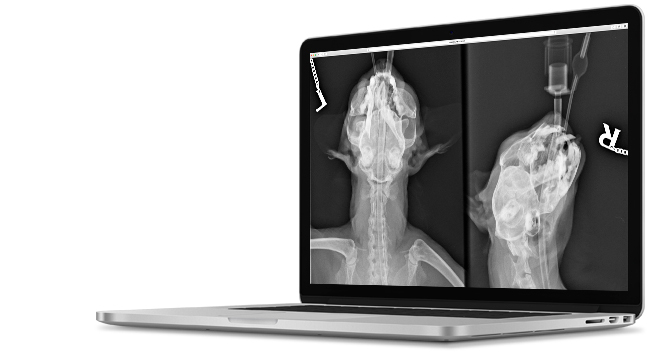 IRIS integrates DICOM image series and studies into patient records, allowing you to view images directly from the consulting room. A single, unique ID links patients between imaging equipment and your practice management system. IRIS is a great addition for teaching facilities, as it does not restrict you to the imaging room and allows you to access images as soon as they’re ready.